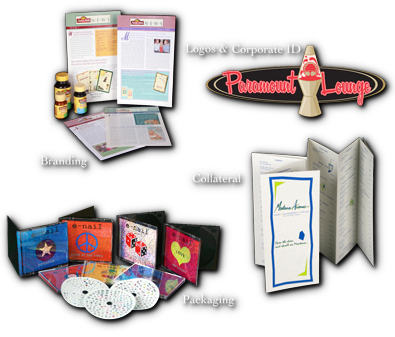 The IDG Portfolio offers examples of corporate identity and branding campaigns, packaging and collateral materials. In the IDG Portfolio, you’ll see examples of branding campaigns, collateral materials, corporate identity packages, and packaging. These are the primary business categories that most of our work falls into. However, it is not all that we do, by any means. Many of our projects are far less extensive — for example, invitations, announcements, retail ads, direct mail flyers, and a great variety of others. Ivener Design Group also provides website design and video production services, and has created several compelling and beautiful websites; we’re happy to share these with you by request.